Published on 10 March 2012. I read earlier this week that, in some fluke accident, this statue of Earl Grey was struck by lightening during the war, decapitating him. During wartime, repairs weren’t considered a priority, and so the smashed fragments were stored. After the war, the fragments were reconstructed, and a replica made and attached to the statue. But, bizarrely, the tale of Earl Grey’s head doesn’t end there. In 2000, a cast was taken of the head, and an artwork created and embedded in the Monument’s plinth, which allows anyone to see his head from four different sides. So now everyone can get up close and personal with Earl Grey! 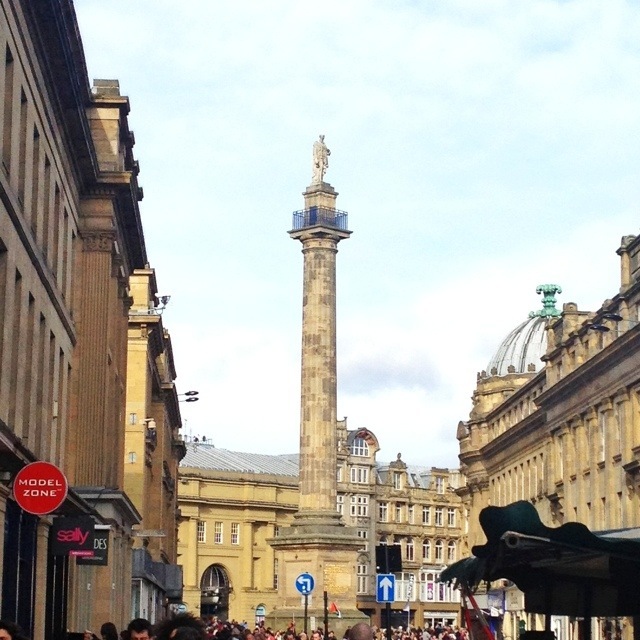 This 1,558th post was filed under: Photo-a-day 2012, Earl Grey, Newcastle-upon-Tyne. Trackback received at 17:27 on 25th August 2012.